Casting directors are currently scouting the New York and Tri-state areas for parents of any ethnicity with at least two children to star in the Tombstone pizza commercial, which will be filmed from April 27 until May 4, 2015. Back in 1962 in Medford, Wisconsin, the Simek brothers, Pep and Ron, started to serve pizzas as a part of their menu in their small tavern, locally known as the Tombstone Tap (named due to its location across the cemetery). Locals have since then attached the name Tombstone to their pizzas. Later in 1986, they established the Tombstone Pizza Company. It became a freestanding division of Kraft Foods and was eventually bought by Nestlé Foods as a part of their direct store delivery. In the process of promoting their product, casting directors are in an immediate need of a bubbly, extroverted, and articulate mom with a fun, active, and adventurous suburban family. Mom and Dad, you must be from 35–55 years of age, and your children (2 or more) must be of 6–16 years old to qualify for the project. You must also be willing to let them film the commercial in your home. Talent fee will be $5,000 per family. They will include an additional fee for the utilization of your home as the location for production. In the event that you are interested to be in the project, kindly submit your and your family’s name and age, along with your contact information. Send it via e-mail, together with a family photo, any photo/video of family vacations and outings, and photos or videos of the interior and exterior spaces of your home. Deadline of submission will be on April 26, 2015. Seeking bubbly, extroverted, articulate mom (no heavy accents) for a Tombstone Pizza Commercial in the Tri-State Area. Seeking fun, active adventurous husband for a Tombstone Pizza Commercial in Tri-State Area. 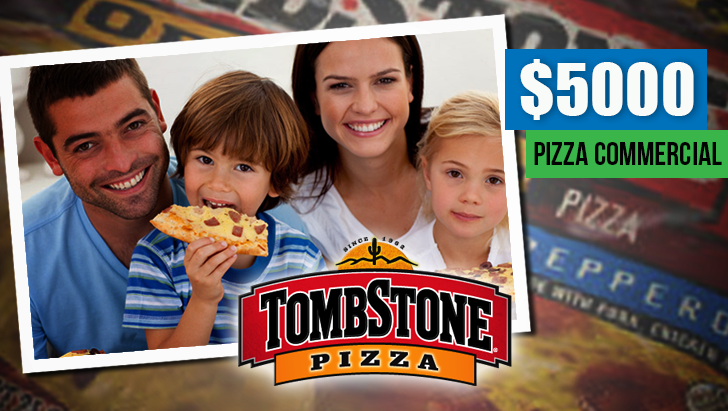 Seeking fun, active adventurous children for a Tombstone Pizza Commercial in Tri-State Area.